MMORPG.com is a great website because it has a ton of information about our favorite MMORPGs. One of those MMORPGs is Shroud of the Avatar but, unfortunately, many MMORPG.com readers hate Shroud of the Avatar with a passion. If you enjoy playing Shroud of the Avatar and you are looking for updates or news about the game then I suggest you get them from Shroud of the Avatar's newsletter, website and forum. 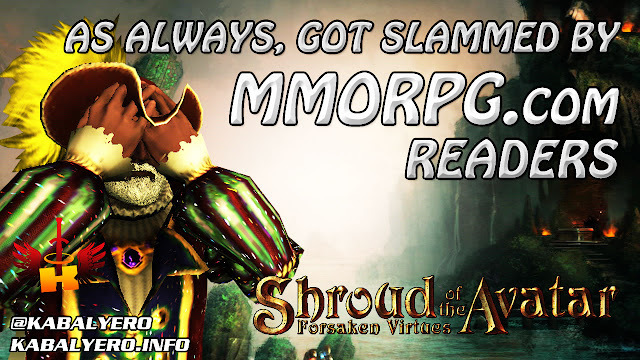 Watch the video below to listen to my reaction and thoughts about what MMORPG.com's readers are saying about Shroud of the Avatar.